Fancy going back to school whilst dining on some pretty tasty grub? Tanner & Co is your place. With pommel horses for seats, and themes in every area of the converted warehouse you’ll feel like you’re back in the classroom with a biology lesson to be had in the toilets, and science by the bar. 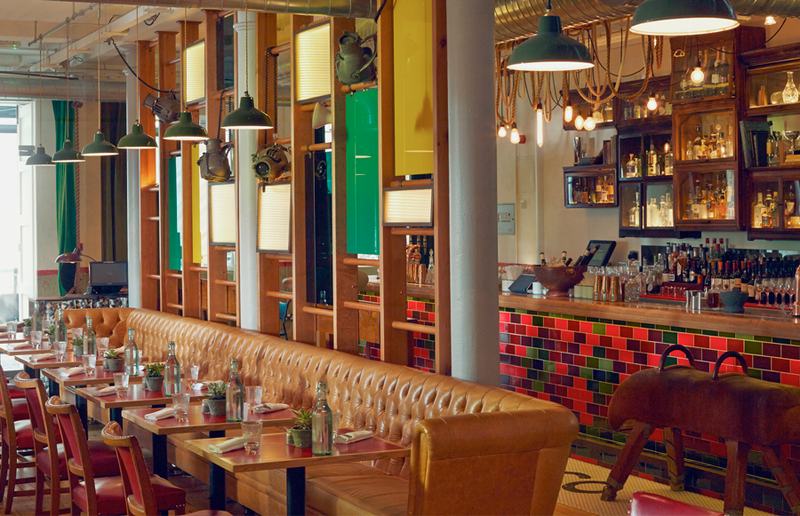 Events-driven bar and restaurant group Camm & Hooper acquired the large warehouse site a few years ago and worked to renovate the whole location working closely with Russell Sage Studio, the designers who produce many of the top London restaurant interiors. And it’s certainly paid off. The interior is a truly interesting and detailed spot to eat. From the monkey bars, to old fashion type writers the style and layout flows effortlessly, with enough light to actually see each other too… Something so many restaurants are reducing more and more. We visited in a evening after work, and selected from their dinner menu. I decided to go for the grilled gammon chop, with a duck egg, pineapple and chips, for £16.00, whilst Ethan tried the spicy bean burger with tomato dip, mint yoghurt relish, slaw, chips coming in at £14.00 whilst our friend Lillian opted for pan seared sea bream, grilled fennel, peas and broad beans, personally my favourite of the places, at £18.00. We also opted to share sides, choosing the steamed spinach and mac ‘n’ cheese, both at £4.00 respectively. Whilst service was slow, the food was most certainty worth the wait. The gammon was juicy, cooked to perfection and full of flavour, whilst the sea bream paired perfectly with the fresh bed of mushy peas. Portion size, you most certainly get what you pay for too, with a portion of chips enough to share between two… Something you rarely say these days, and the sides being ample to share between three. Tanner & Co have also made a reputable name for themselves because of their bottomless brunch option which we’ll certainly be returning to try. At £40, it’s a commitment, but does offer a good amount of food and drink for the price tag. The London Bridge restaurant offer two hours, with two different sitting available 12:00pm – 14:00pm and 15:00pm – 17:00pm with a maximum party size 25. 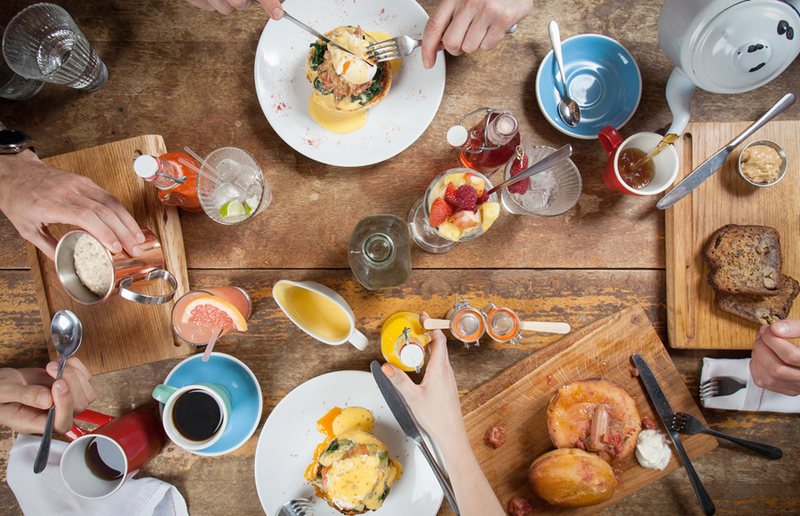 There’s a lot to dig into too, from their house benedicts or signature burgers, plus granola yoghurt pots, croissants and jam, a ‘sugar fix’ of either choco fizz bang or elderflower jelly, plus of course a wide selection of drinks, including bloody mary, mimosa, prosecco and wine. If that wasn’t enough to get you rushing down, they also have a huge 300 person spaced function room at the back – with chalkboard as standard, of course. It’s a perfect space for a school reunion or launch party. 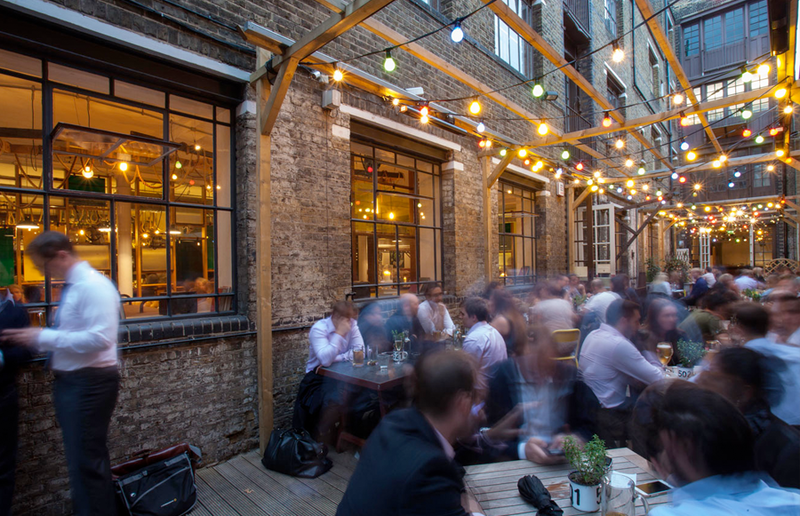 It’s a great experience at Tanner & Co, and we were thoroughly pleased with our food, drinks and the ambience of the venue. Working out at about £50.00 per head, with a bottle of wine and sides it was a reasonably price evening for London Bridge.